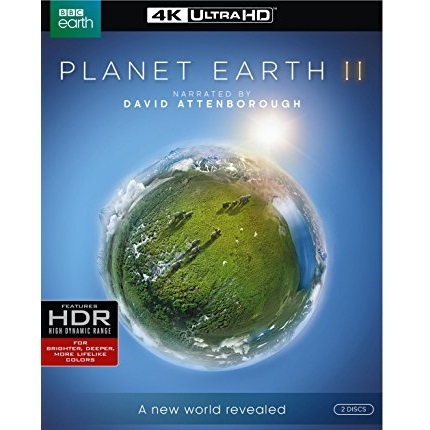 Amazon is offering Planet Earth II on 4K Ultra HD Blu-ray for $30 with free shipping. Retail price was $49.79. Note that this disc will play only in 4K players, regular blu-ray is also $30. The Deal – Amazon is offering Planet Earth II on 4K Ultra HD Blu-ray for $30 with free shipping. Retail price was $49.79. Note that this disc will play only in 4K players, regular blu-ray is also $30.